PPl used to tell me that ss2 is the land of milk and honey. There is plenty of yummy food over here. Hmm, see for ur self ya! This shop has a variety of choice to choose. 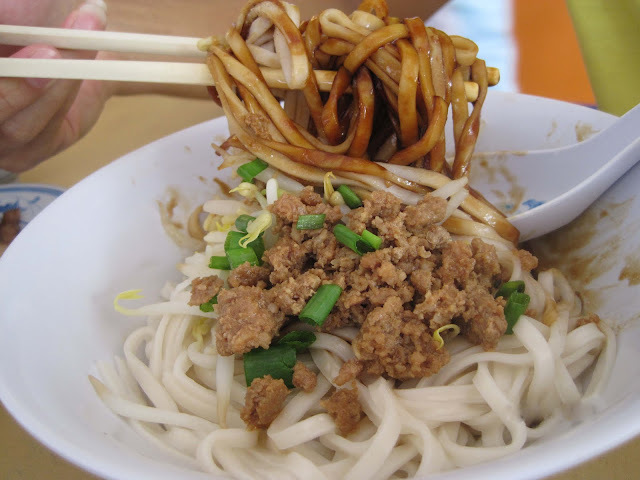 They haf only 1 similarity, all of them use the same, hand-made, Taiwanese Noodle. This it the curry chicken noodle (DRY). 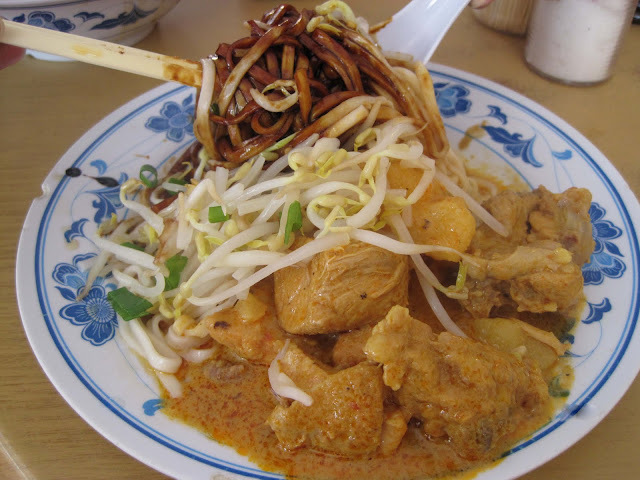 It has curry chicken + potato + tauge topped with some spring onions. 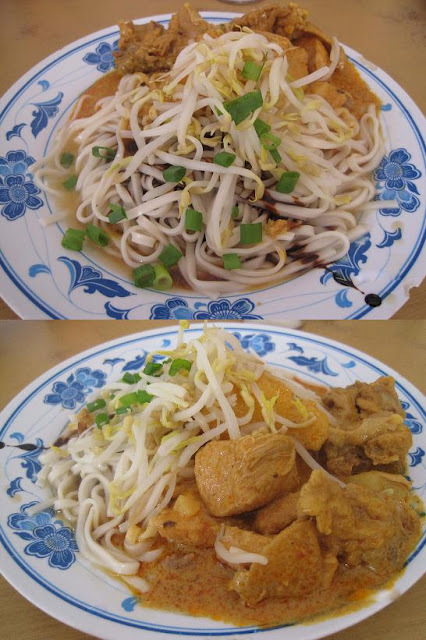 The curry is somewhat OK~ but the noodle is absolutely unbeatable! It is healthy too - preservative free! 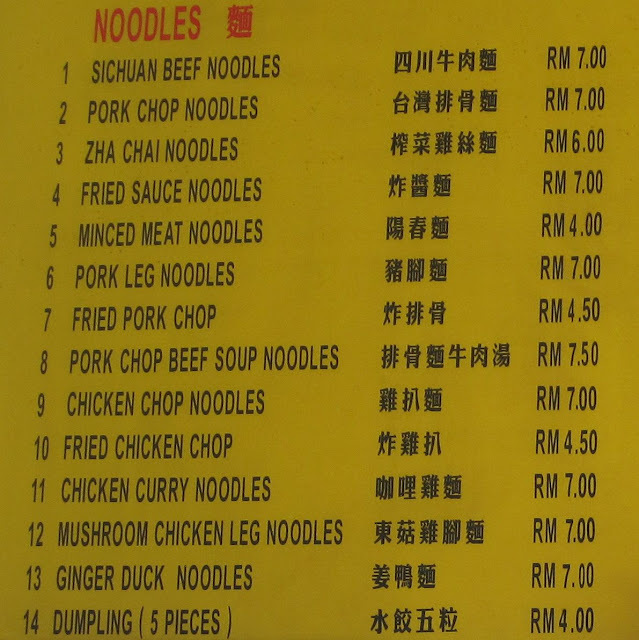 This is the pork chop beef soup noodle. 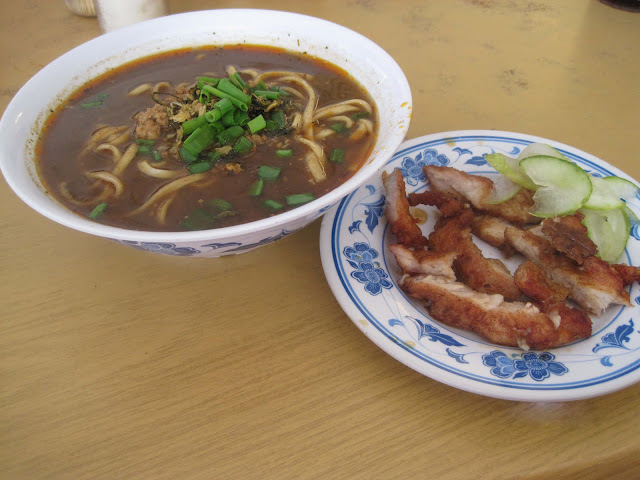 The soup is a little similar to the SiChuan style. Bdw, u could add their home-made sambal-like sauce that would make ur meal taste a whole lot better. This is my all time favourite at this restaurant - their pork chop! 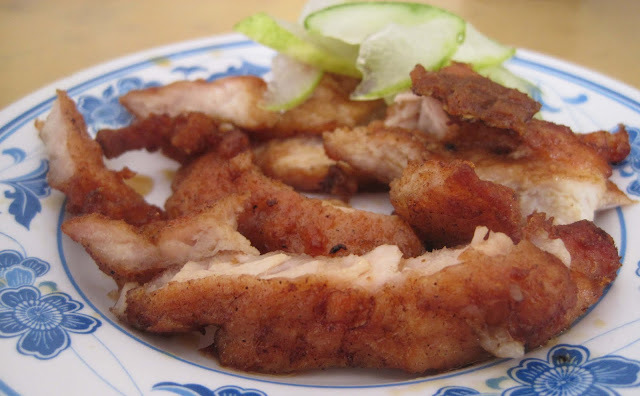 It's really crunchy n they marinate them wif such great savor~ yummylicious, PERCAYALAH AKU! why monday open until 5pm only? because of pasar malam? haha thanx for the comments!